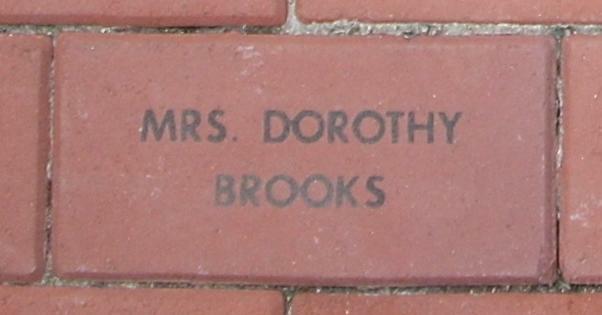 Mrs. Dorothy Elaine (Morrison) Brooks of 39 Pershing Drive, Plainville, was born December 17, 1899 in Enosburg Falls, Vermont, daughter of Canadian born Dora A. 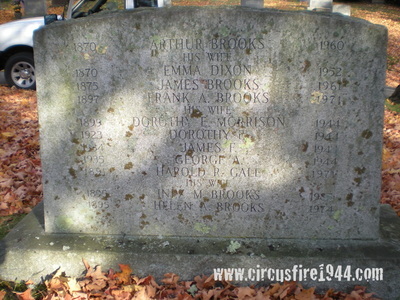 (Harris) and English born William J. Morrison. She was found dead at the circus grounds after the fire on July 6 and was buried at Pine Grove Cemetery in Manchester, New Hampshire. 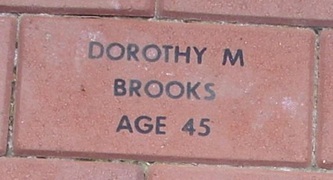 Dorothy leaves her husband Frank Sr., 46, and their son Frank Jr, 16; her brother Vernon Percival Morrison, 57; and her sister Mrs. Lorna E. Clough, 53. Mrs. Brooks' three other children, Miss Dorothy, 20, George, 9, and James, 10, were also victims of the circus fire. 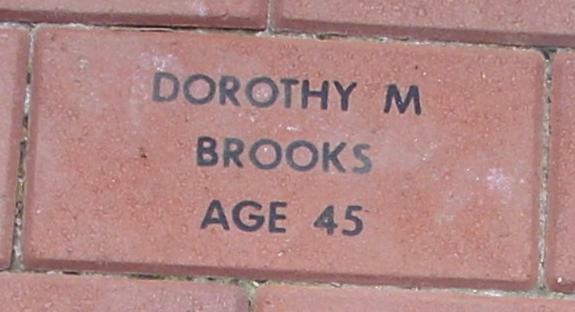 Body #2107 went unidentified at the State Armory morgue and was one of the last 15 remaining bodies moved to the Hartford Hospital morgue where it was identified on July 8 as Mrs. Dorothy Brooks by her husband. 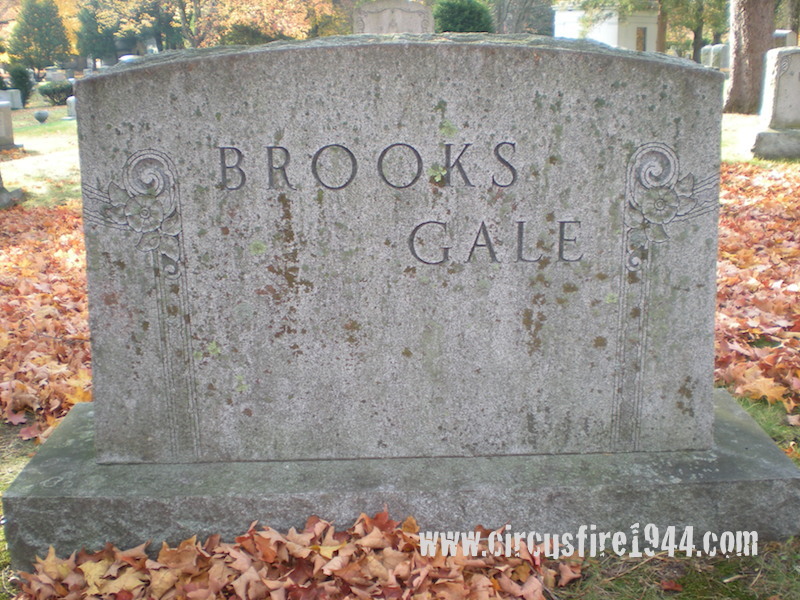 A white gold ring with a square diamond was found on her right ring finger, and on her left hand was a gold wedding ring, another ring with a group of stones, and a ring guard. She was wearing pink pants, a pink corset, tan mesh stockings and tan leather Lady Elaine pumps with leather bows. 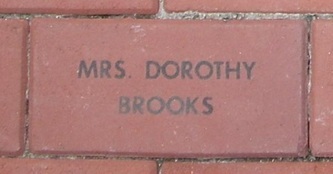 Dorothy's estate was awarded $10,500 by the arbitration board.